For decades, we’ve trusted the beauty industry to have our best interests in mind. It doesn’t. Every day American families are exposed to harmful ingredients commonly found in the products they use on their skin. Beautycounter is working to change that. We are on a mission to get safer products into the hands of everyone. I was one of those people that didn’t believe the hype about chemicals wrecking havoc on our health. I was also a disbeliever that gluten had anything to do with my horrendous skin, digestive, and mood disorders – but luckily, I opened my mind to the possibility that the things in our environment could be a cause of my health issues. Now listen, I understand that there is absolutely no way that we can remove 100% of the chemicals in our environment. Hell, even water is considered a chemical! But we can certainly open our mind to reducing the load of exposure. For example, what if we replaced the products that we rub on our skin, apply to our face, and wash our clothes in every day with safer products – that would eliminate quite a large burden on our body’s detoxification process! Next time you run out of shampoo or foundation, simply replace it with a different product. That’s it 🙂 You might be thinking, but what if the natural products doesn’t work as well? 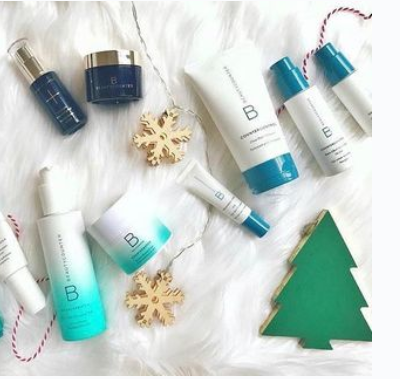 Well, that’s why I am here promoting Beauty Counter, because I have never been happier with the way my skin feels, smells, and looks – I am here advocating for you, they way Beauty Counter is advocating for me. At Beautycounter, we’ve committed to a health and safety standard that goes well beyond what is legally required in the United States. The Never List™ is made up of more than 1,500 questionable or harmful chemicals that we never use as ingredients in our products. This includes the over 1,400 chemicals banned or restricted in personal care products by the European Union, plus additional chemicals screened by Beautycounter and found to be of concern. If you are ready to shop for some products, click here. I recommend starting with the Countercontrol Kit if you have oily skin – this is what I use every day and night. I doesn’t come with a moisturizer, so I use this one the side.